The Battle of Castlebar occurred on 27 August 1798 in the town of Castlebar, County Mayo, during the Irish Rebellion of that year. A combined force of 2,000 French and Irish routed a force of 6,000 British militia in what would later became known as "The Races of Castlebar." 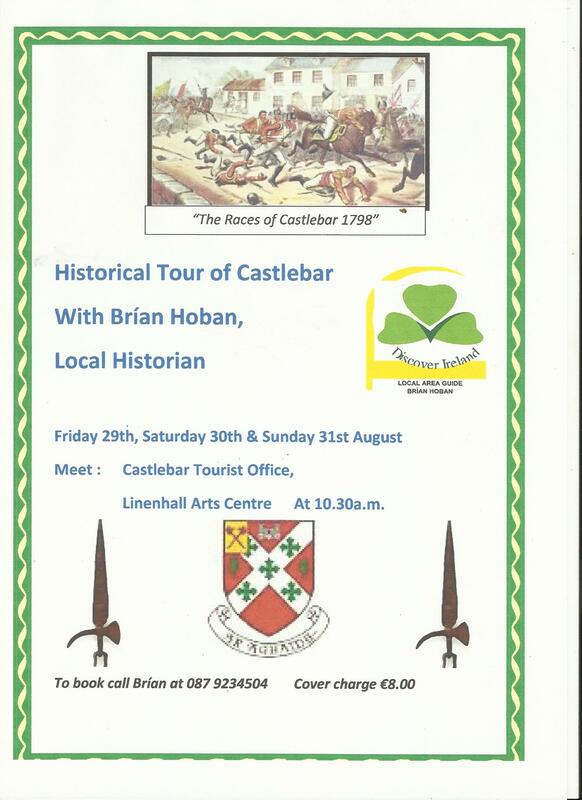 To mark this anniversary Local Historian Brían Hoban is organising historical tours of Castlebar on Friday, Saturday & Saturday next (30 & 31 Aug 2014). These are the last tours of the season.